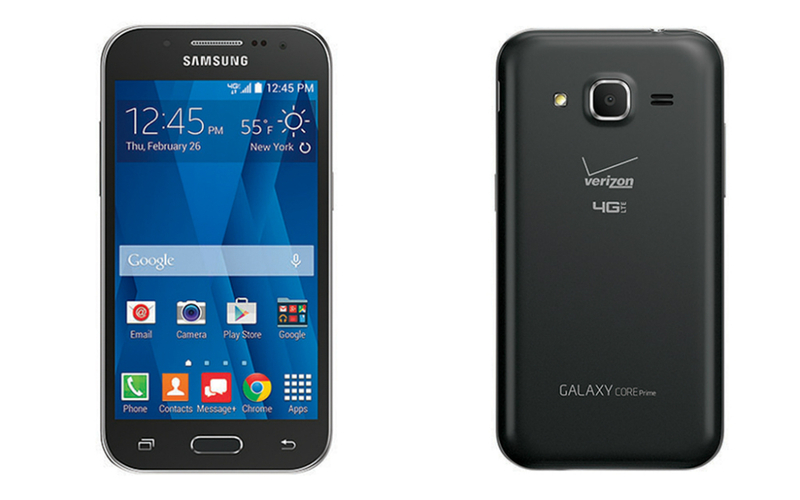 Verizon announced availability of the Samsung Galaxy Core today, a mid range device featuring Samsung’s design principles from a couple of years ago. The device runs Android 4.4, comes with capacitive buttons, a beautiful home button, and TouchWiz, of course. Specs for the Galaxy Core are a 4.5″ WVGA display, 1.2GHz quad-core processor, 8GB of internal storage, 5MP rear-facing camera, microSD card support up to 128GB, 2000mAh battery, and will receive an update to Lollipop in the future. The phone is priced at $29.99 on a two year contract. The smartphone will be $8 a month on Verizon Edge for eligible customers.